When people start working on redecorating projects for their home they have a lot to think about before they start decorating. Aside from picking out a theme and deciding where to shop, a lot of people have trouble deciding which new color they should use for their room. 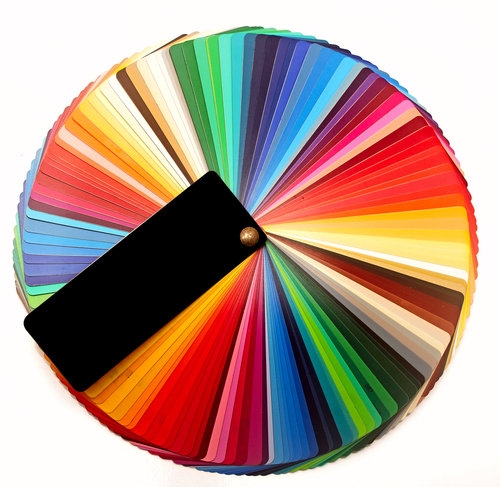 Picking a color would seem easy, but many people aren't sure if they should go with a color they like or a color that's the "hot" color of the moment. If you're having trouble deciding if your new room should be bright and bold or calm and subdued, this post should be able to point you in the right direction. If you're having trouble deciding which color to go with in your room, a good look at your closet may be able to help you choose which color you want. When we choose which clothes we buy we don't just go for things that look good on our bodies, we look for clothing that's made with a color we like. Go through some of your favorite outfits and see if a color jumps out at you. If you want to pick a nice color for your room, think about the kind of atmosphere you want your room to have. If you're re-doing a family room where you entertain most of your guests, you may want to pick a vibrant and bright color to go with the room's energetic atmosphere. If you're redecorating your sophisticated dining room, look for light colors that give the room a dignified mood. If you're really having a difficult time picking out a color for your walls, paint them a white a beige color and focus on having colorful and eye-catching décor pieces in your room. Red rugs, brightly colored couches, and colorful knick-knacks can change the look of a room just as much as a new coat of paint can.